President Donald Trump's baffling remark about Sweden on Saturday was apparently based on a FOX News segment suggesting a security threat in the European country, Trump revealed on Twitter. "My statement as to what's happening in Sweden was in reference to a story that was broadcast on @FoxNews concerning immigrants & Sweden," Trump tweeted on Sunday. 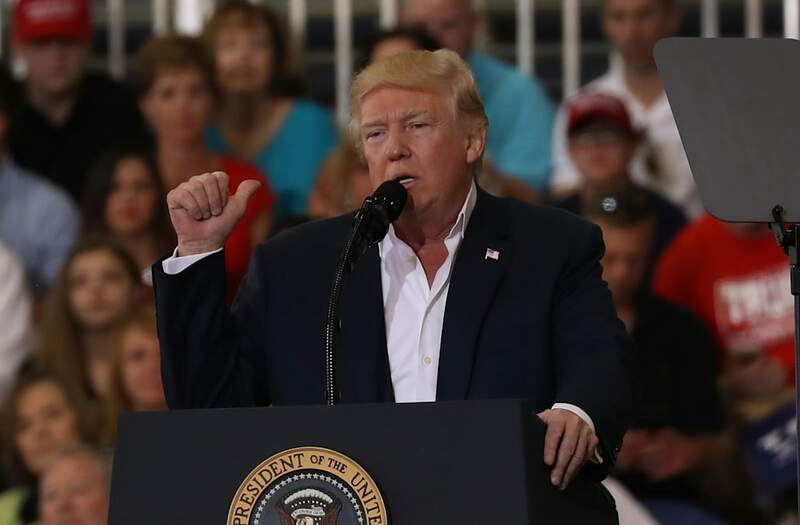 Trump's original comments, made at a campaign-style rally in Melbourne, Florida, seemed to suggest a security incident involving immigrants in Sweden on Friday on par with terrorist attacks in Germany in France. "You look at what's happening in Germany. You look at what's happening last night in Sweden. Sweden! Who would believe this? Sweden, they took in large numbers, they are having problems like they never thought possible," Trump said at the rally. "You look at what's happening Brussels, you look at what's happening all over the world. Take a look at Nice, take a look at Paris," he continued. The allegation sent pundits and political observers scrambling to find evidence of any such incident in Sweden — and they came up empty. Swedish foreign ministry spokeswoman Catarina Axelsson said her office contacted the US state department for clarification. Former Swedish Prime Minister Carl Bildt even chimed in, mocking Trump's dubious claim on Twitter. "Sweden? Terror attack? What has he been smoking? Questions abound," Bildt said. The FOX News segment Trump was referring to was an interview between host Tucker Carlson and documentarian and media personality Ami Horowitz that aired Friday night. Horowitzpresented a clip from a film documenting alleged violence committed by refugees in Sweden, and the segment went on extensively about an alleged crime surge in Sweden and its links to immigrants. In fact, a 2016 crime survey found crime rates in Sweden have stayed relatively stable over the past decade. The president's comments drew immediate comparisons to a gaffe committed earlier this month by Trump surrogate Kellyanne Conway, who referenced the fictional "Bowling Green Massacre" as justification for Trump's controversial immigration order in interviews with multiple media outlets. White House Press Secretary Sean Spicer similarly blundered this month when he referred multiple times to a terrorist attack in Atlanta that never happened. Spicer later said he "clearly meant Orlando," the site of a mass nightclub shooting in June.